Superdry men's All Over Embroidered crew sweatshirt. 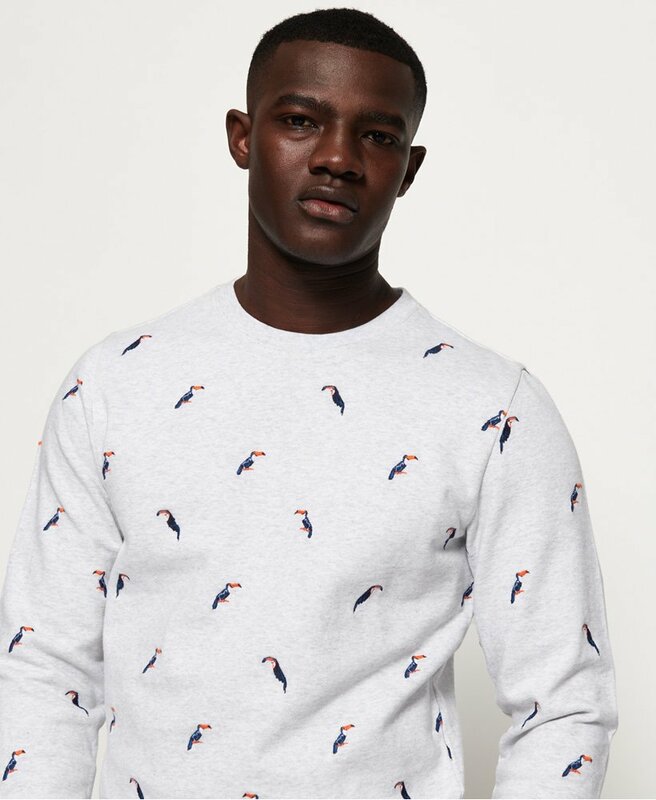 This lightweight sweatshirt features a crew neck, long sleeves, an all over embroidered pattern and ribbed collar, cuffs and hem. Completed with a Superdry logo badge above the hem. Will look great with your favourite pair of jeans or shorts and trainers this season.